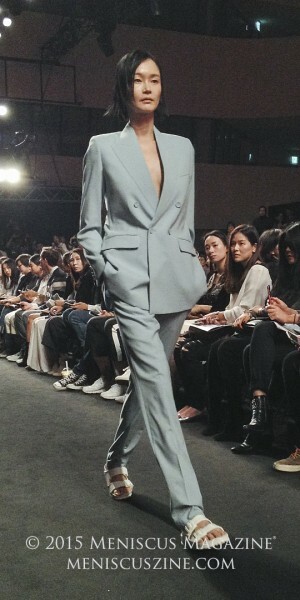 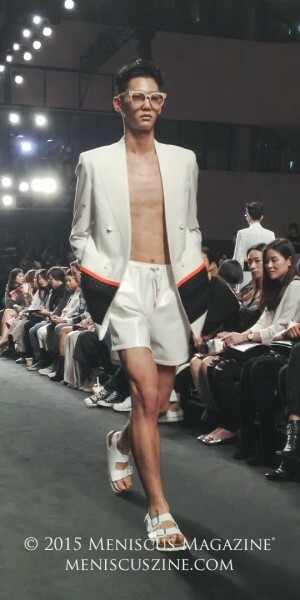 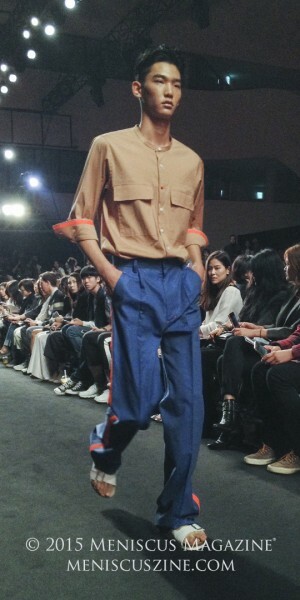 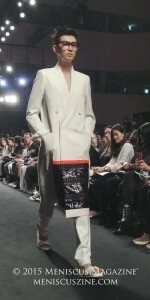 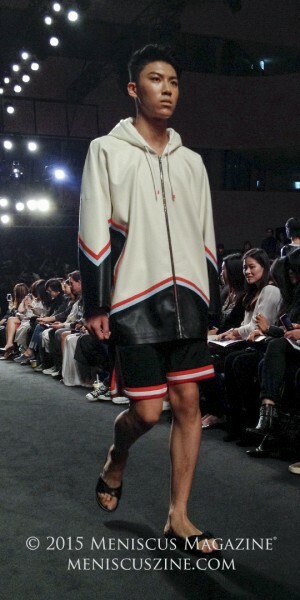 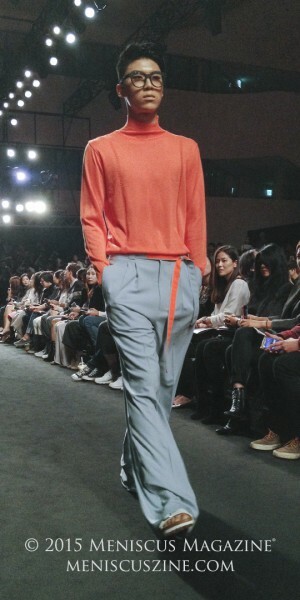 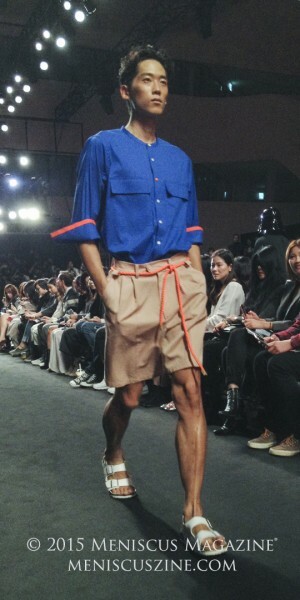 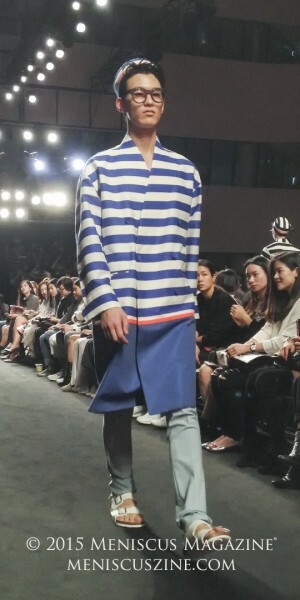 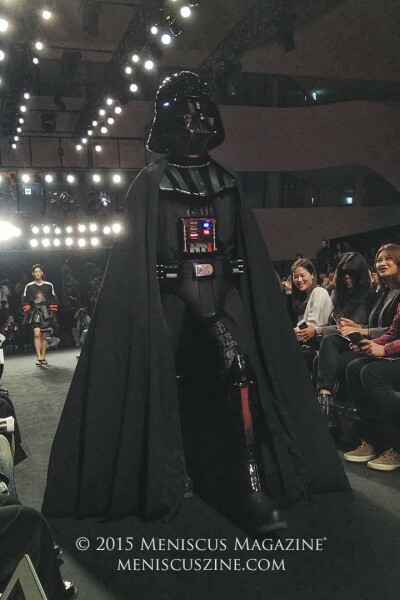 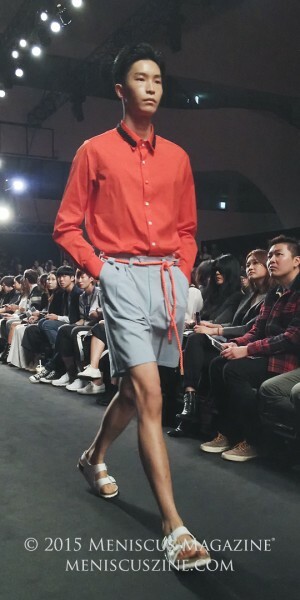 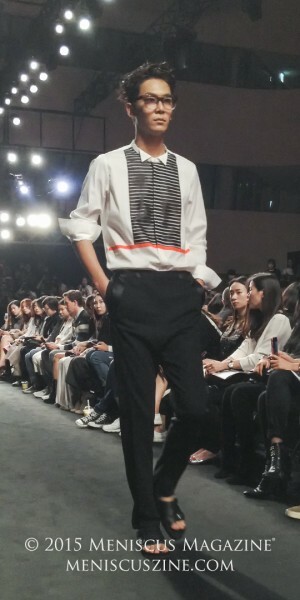 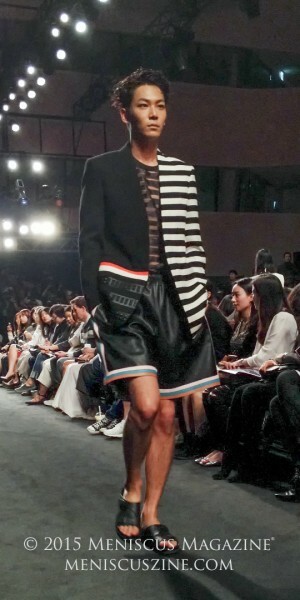 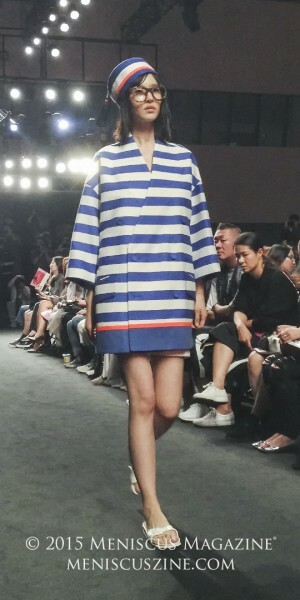 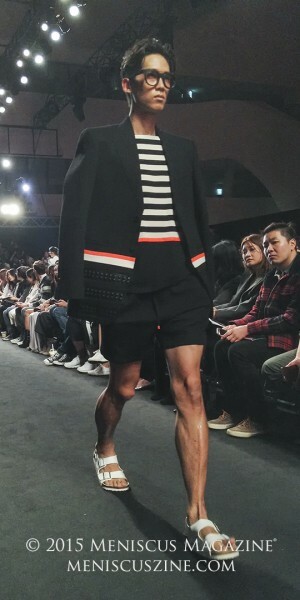 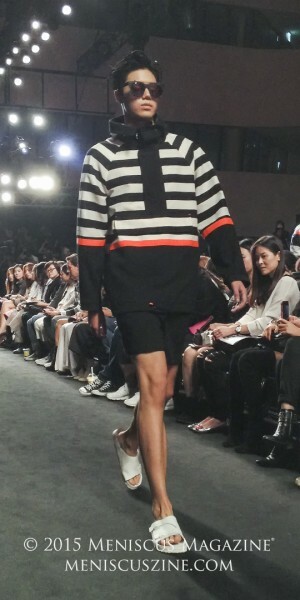 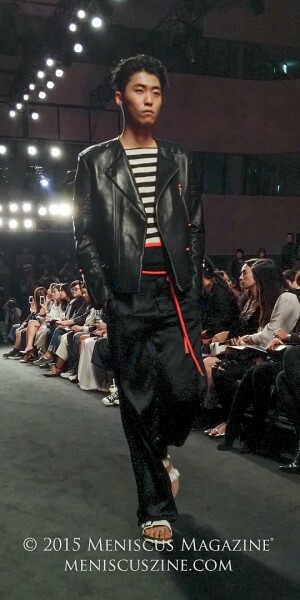 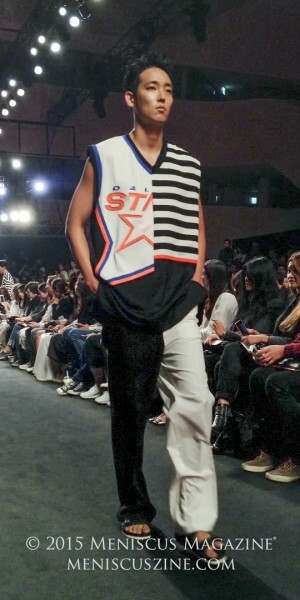 If there had been a barometer measuring the collective excitement in the room at the HEICH ES HEICH Spring 2016 show in Seoul, the moment when a cadre of Stormtroopers and Darth Vader emerged and marched across the runway would have been when the needle broke. 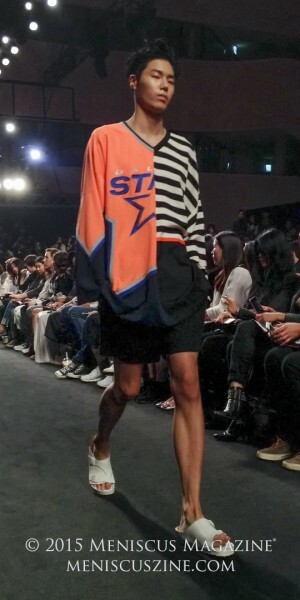 The spectacle of that “Star Wars” cameo in the middle of Han Sang-hyeok’s show was not just a marketing ploy. 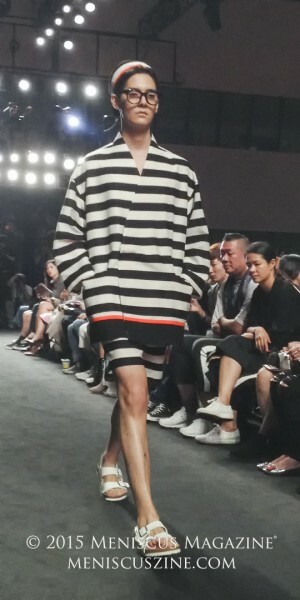 Combined with the brand’s mission statement of producing high-end unisex wear, Han’s upcoming spring collection is a subtle nod to that famous franchise. Offering a color schema that will be familiar to George Lucas’s fantasy epic – white and black representing the Empire, orange the rebel TIE fighters, etc. 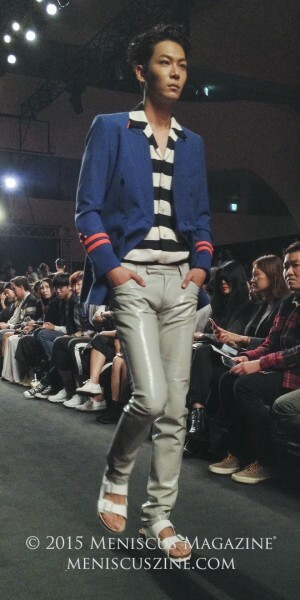 – Han’s designs are littered with understated homages. 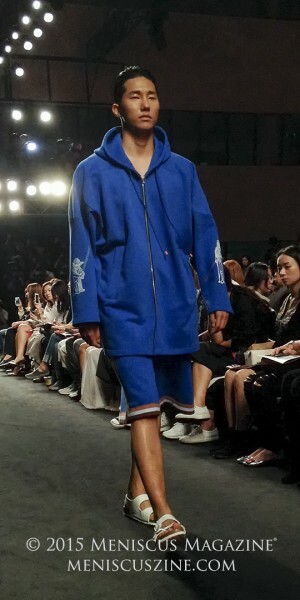 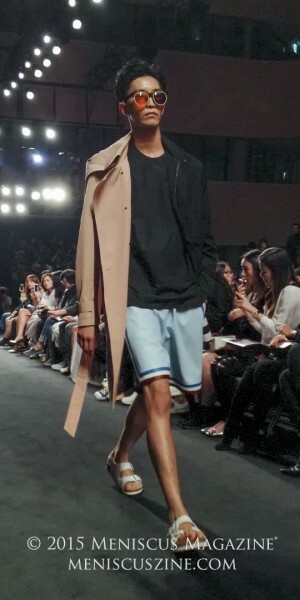 With loose-cut hoodies that could double for Jedi hoods, black leather ensembles that echo Han Solo’s smuggler outfit, and gray form fitting ensembles that conjure up memories of the Empire, it is obvious that Han had fun designing this season’s collection. 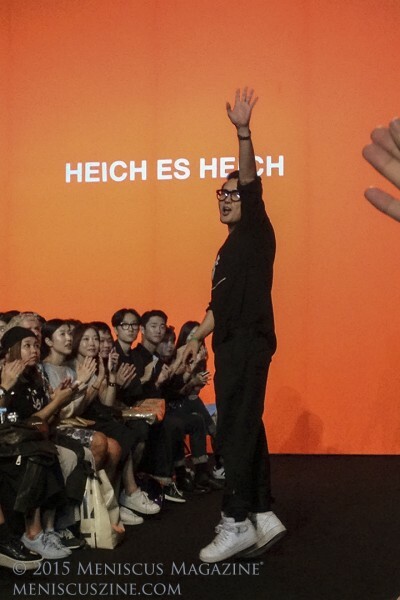 Of course with all that said, those who don’t feel the same otaku-level madness for the sci-fi classic don’t need to feel ostracized from HEICH ES HEICH’s upcoming selections. 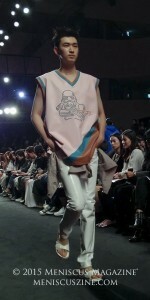 Whether or not you’re a fan of “Star Wars” matters very little since Han’s designs never abandon the basic principles of streetwear for geek cred. 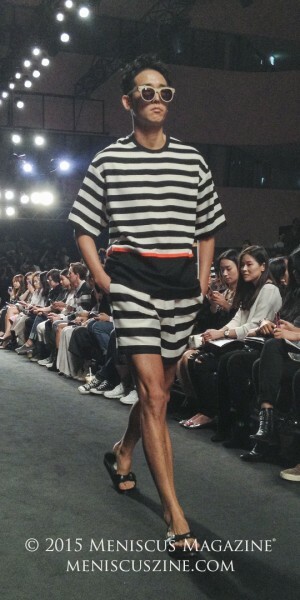 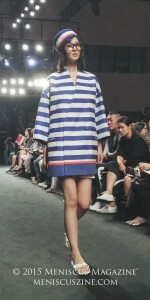 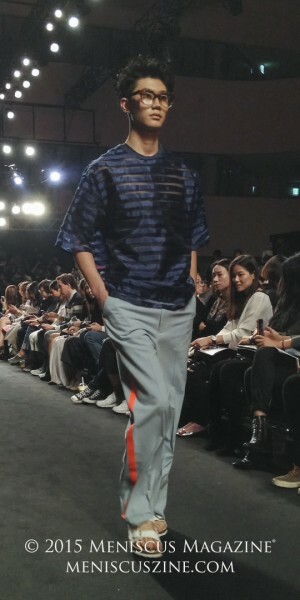 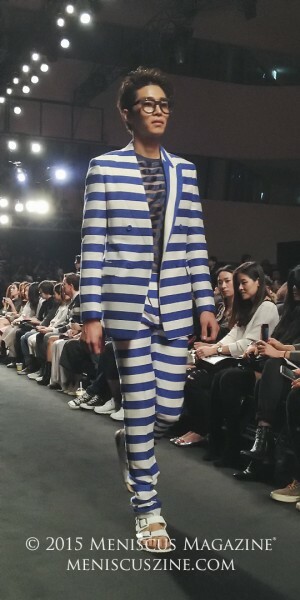 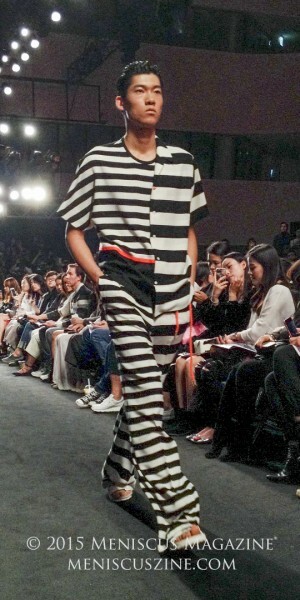 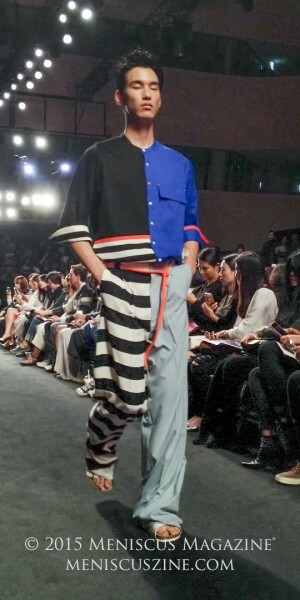 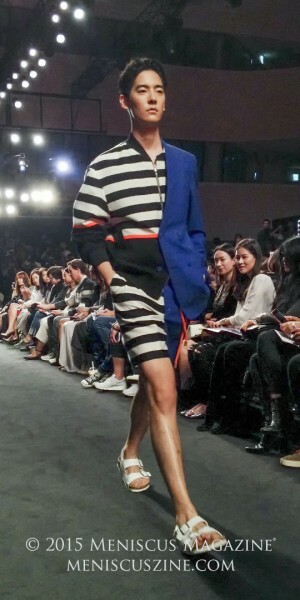 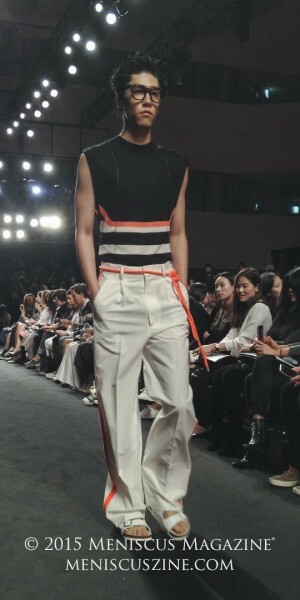 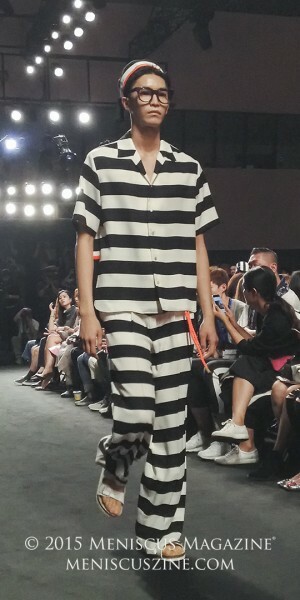 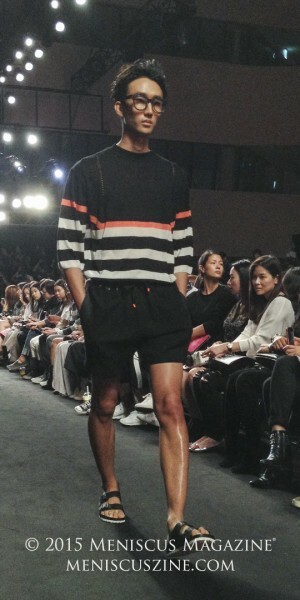 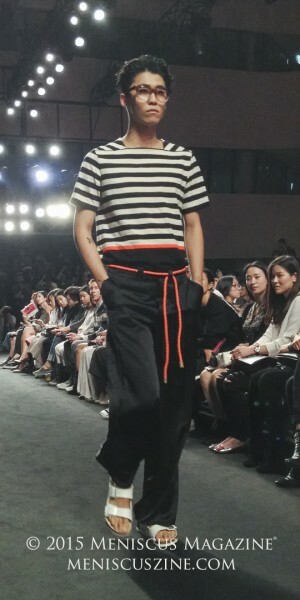 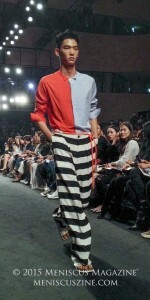 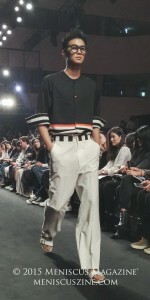 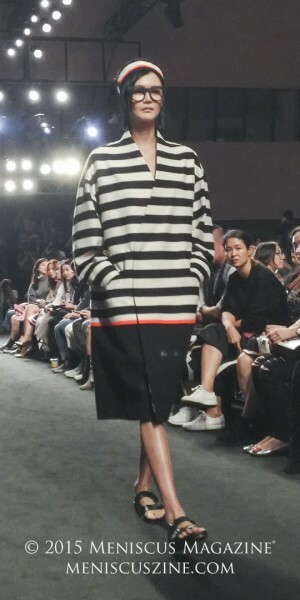 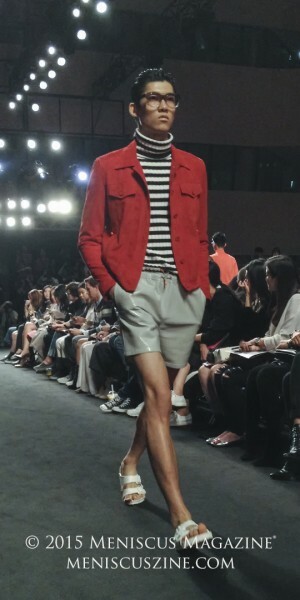 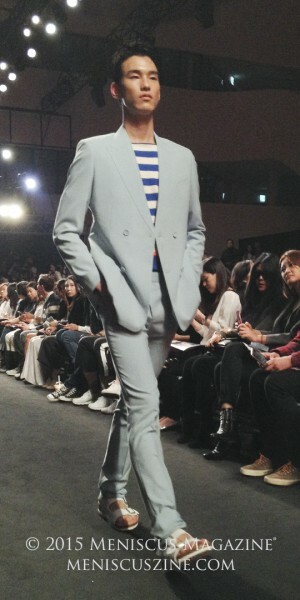 Though not every outfit was stellar, with the opening salvo of black-and white striped prison attire leaving much to be desired, the outfits improved as the show moved along. Overall, it’s safe to say that Han Sang-hyeok’s collection successfully distilled the pop culture aesthetics of “Star Wars” into a couture framework.